Urban Green's Metered New York has now been updated with 2016 information and provides energy, water and emission trends over the past seven years. Altogether, the 2016 data set includes 14,851 properties with over 22,000 individual buildings. 2016 brought improved compliance and better quality data. Only 4 percent of properties reported suspect energy use - either too low to keep a building from freezing or too high to be realistic. Better data is a foundation for well-informed policy, and New York City continues to lead on data-driven climate solutions. 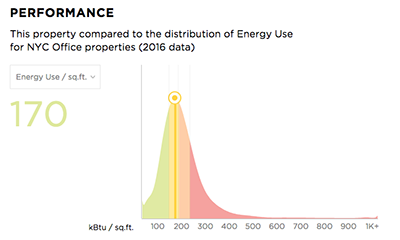 Tools like Metered New York help owners and policymakers alike understand how and why buildings use energy. In 2018, we investigated next-generation energy efficiency products, provided recommendations to improve Zone Green amendments, and created a framework to cut NYC’s building emissions 20 percent by 2030. All of this would not have been possible without you - our donors and sponsors! 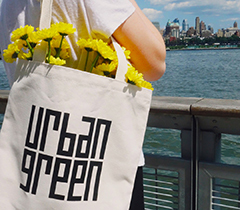 This giving season, we hope you'll consider a tax-deductible gift to Urban Green. Help us continue to create a more sustainable New York City in 2019. 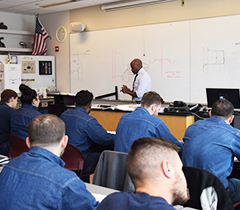 Developed by Urban Green, GPRO is North America’s leading certificate program that teaches trades and operations professionals what they need to know about constructing and maintaining high-performance buildings. So far, we've trained over 12,000 professionals! Wishing you happy holidays from our team at Urban Green! Our office will be closed December 24 - January 1. 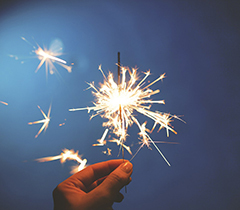 Thank you for your committment to Urban Green - we look forward to seeing you in the new year! An estimated 40,000 acres of roof space sit atop New York's buildings -- so why is it that less than one percent incorporate greenery? Join Alan Burchell for an introduction to green roofs and how they can transform our cities.